Many establishments that place “pommes frites” on the menu are doing the potato justice because they are correctly frying them in animal fat (tallow, lard, duck or goose fat). 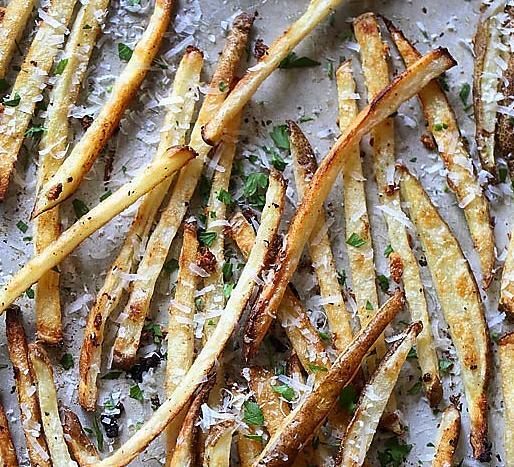 I think there might be one thing we all agree on – we are all looking for the same great flavor and texture in a skinny pommes frites. If so, this recipe is for you! 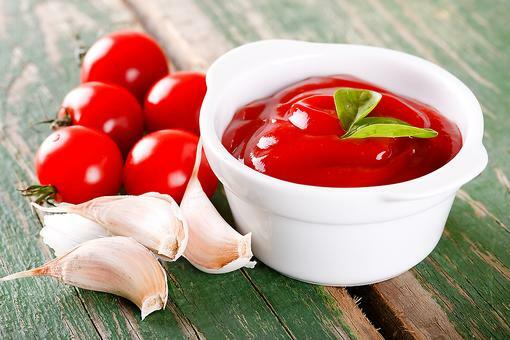 Combine the oil and crushed garlic in a large mixing small bowl. Set aside. Preheat the oven to 450 degrees F. Lightly coat a baking sheet with cooking spray. Set aside. Cut the potato lengthwise into 1/4-inch thick slices; cut each slice into 1/4-inch thin strips. Once cut, pat dry with a paper towel. 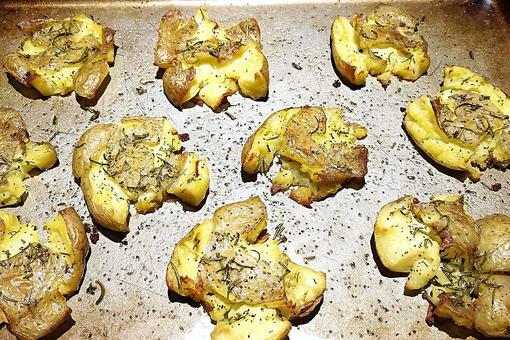 Toss cut potatoes in the bowl containing the oil and smashed garlic. Use your hands to evenly coat. Season with salt and black pepper after they have been coated with the oil and garlic mixture. Place oil coated cut potatoes onto the prepared baking sheet. Bake, uncovered, in the center of the oven until tender crisp and golden brown, about 10 minutes on each side. 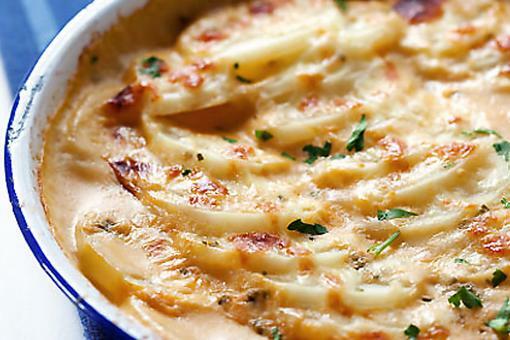 Remove from oven and toss with cheese and fresh chopped parsley. Adjust seasoning with salt and pepper. Serve immediately. Potato Bliss: How to Make Crunchy Crushed Herbed Potatoes! 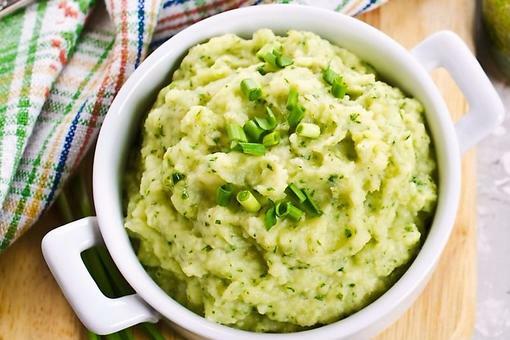 Leftover Mashed Potato Recipe Ideas: How to Spruce Up Those Leftover Mashed Potatoes! Oh, wow. Yes, please! Another great recipe by Chef Gigi Gaggero ! 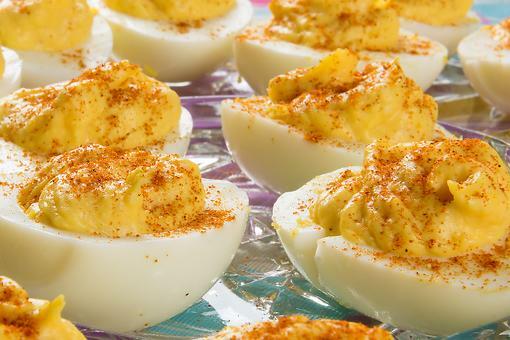 I'm trying these in my airfryer tonight. cannot wait to make them! 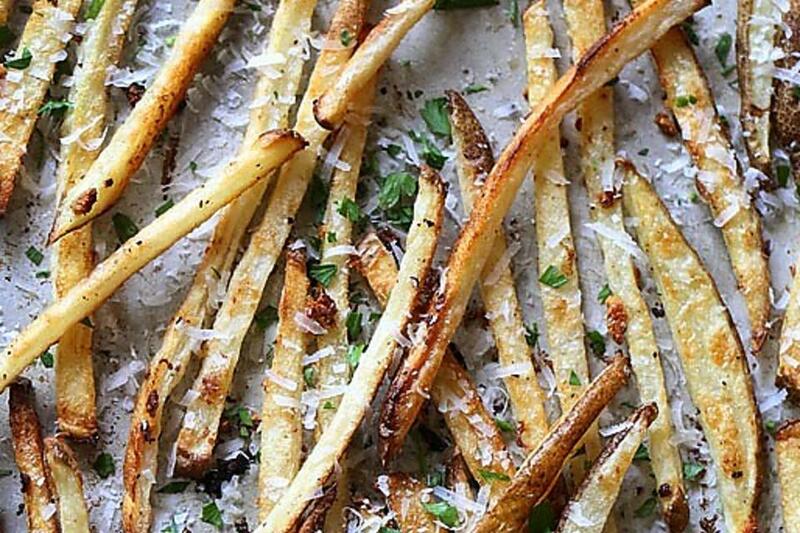 You Need to Eat These Skinny Garlic Pommes Frites With Parmesan Now!